Kamilah Campbell, 18, is calling on ETS to release her test within two weeks. A Florida high school honors student is fighting back after she says her SAT score was held for review following a massive increase from a test earlier this year -- an uncommon practice that only happens in a "tiny fraction" of cases. 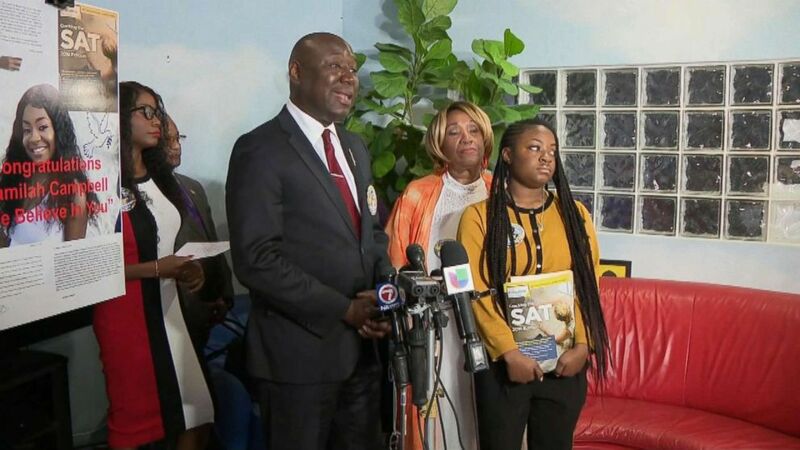 Kamilah Campbell, 18, is calling on the Educational Testing Service (ETS), which administers the SAT, to release her test within two weeks so she can be considered by college admissions officers, Ben Crump, a national civil rights attorney representing Campbell, announced Wednesday. "ETS's invalidation of Kamilah's SAT scores has already had a significant negative impact on her and her family, causing extreme emotional pain and suffering, and threatening her future success," Crump wrote in a demand letter to ETS dated Jan. 1. "In concluding that the only way Kamilah could have improved her score so substantially was by cheating, ETS defamed Kamilah's character and replaced what should have been appropriate and motivating pride with shame and confusion." Crump added in the letter that Campbell, a dancer, is looking to attend Florida State University and invalidating the score "has threatened her ability to pay for college by eliminating her consideration for a Bright Futures Scholarship." (WPLG) Press conference from Ben Crump, national civil rights attorney representing Kamilah Campbell. About two weeks after Campbell took the test on Oct. 6, she received a letter from ETS, a non-profit, saying her exam was flagged for review, Crump said. ABC News has not obtained a copy of the letter from ETS to Campbell. The teenager received another letter on Oct. 31, indicating her score was still being reviewed and a decision would take up to six weeks. Once the time frame passed, Crump said Campbell called ETS multiple times. ETS officials told Campbell she scored 1,230, which is more than 300 points higher than when she took the SAT in March, the lawyer said. SAT scores range from 400 to 1,600. Crump said his client was told her score was flagged because that big of an improvement "indicated to ETS that she likely had 'prior knowledge' of the test." 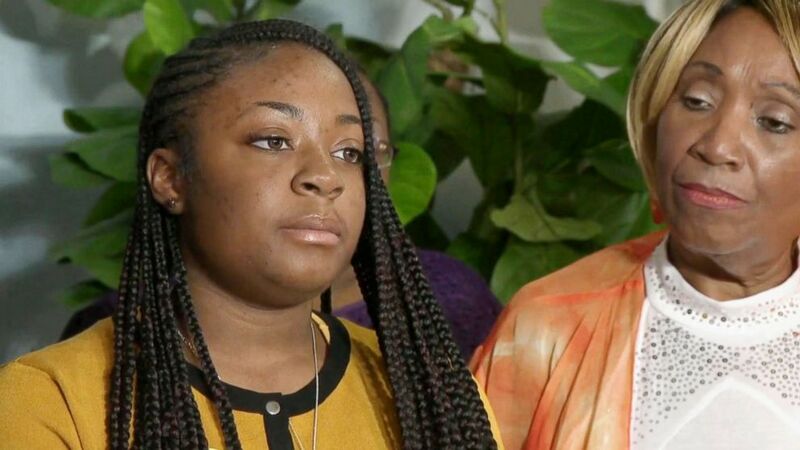 (WPLG) Kamilah Campbell, 18, is calling on the Educational Testing Service to release her SAT exam. Campbell said she explained to ETS that when she took the SAT in March, she hadn't prepared, so between March and the October exam, she worked hard to improve, using prep resources and working with tutors, according to Crump. ETS told Campbell in a letter received Dec. 19 that a preliminary review showed "substantial evidence" that her score was invalid because of "substantial agreement between your answers on one or more scored sections of the test and those of other test-takers," according to Crump and a College Board spokesperson. That was among a number of factors for which her scores are under review, the board said, without elaborating. Campbell's score is being held while it's under review, a spokesperson for The College Board said. At the end of the process, depending on how the investigation turns out, her score might be released to her, but its also possible her score would be cancelled, the board said. 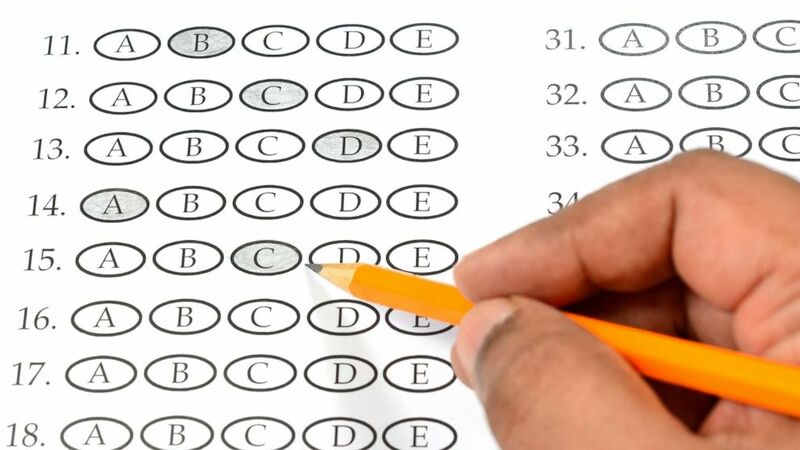 ETS deferred to the College Board for comment, which in a statement said research shows "students who spent 20 hours on Official SAT Practice gained an average of 115 points," and that "these gains were consistent across race, income, and gender." The letter to Campbell "never references score gains as a reason for her scores being under review," a College Board spokesperson said. "In fact, the College Board celebrates when students work hard and improve their scores on the SAT," the spokesperson added. The College Board said, along with ETS, it reviews scores "when statistical analyses and other factors determine it is necessary." According to a 2012 ETS pamphlet, "only a tiny fraction of test scores are ever questioned." Among the information ETS said it considers are: scores inconsistent with previous scores, a test taker who may have not worked alone and test content or answers that may have been available before the exam. "When scores are under review, we work directly with students to collect relevant information and make determinations about the validity of the test scores following a comprehensive investigation of the evidence," the College Board said in a statement. "We do not cancel scores based on a score gain alone; we will only cancel scores after we are confident that there is substantial evidence to do so." (STOCK PHOTO/Getty Images) A student appears to be filling out a multiple choice exam paper with a pencil. The review process is two-pronged, with different personnel responsible for each, the ETS pamphlet explains. The initial review, run by ETS' office of testing integrity, considers whether there's substantial evidence of invalidity; if not, the review is ended, and if there is substantial evidence, the student is given a chance to submit more information to address the concerns. The second prong, the ETS pamphlet said, is involvement of the ETS' impartial Board of Review staff, which meets in rotating panels to review cases. "We are consistent in our test security procedures for all students. We analyze multiple factors looking for evidence of score invalidity," a College Board spokesperson told ABC News, adding, "the criteria we use in our test security efforts are not determined by race, ethnicity or any other personal attribute." Crump told ABC News Thursday the College Board's decision to hold her test is "a terrible abuse of power with no oversight." "We have given them a 14-day deadline to release her test scores," Crump said. "She needs an answer so she doesn’t miss out on getting into colleges or scholarships." Crump threatened to potentially sue, claiming civil rights violations, if the scores are not released within the two weeks, the demand letter said.